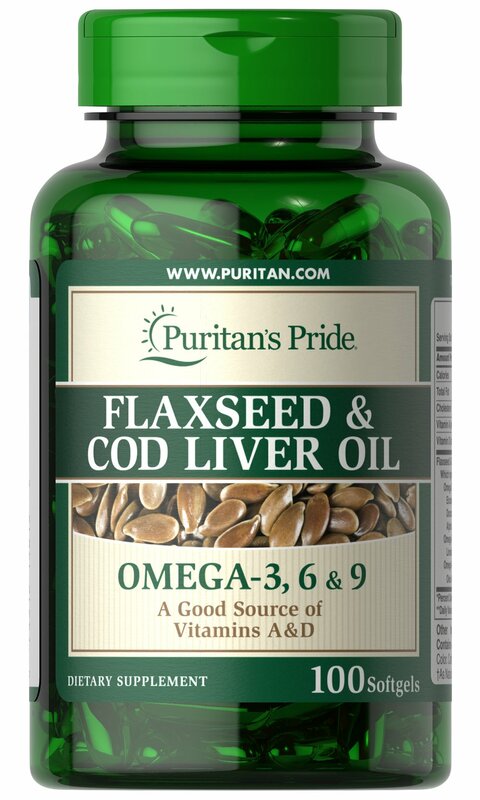 Both flaxseed and cod liver oil are rich in essential fatty acids, which may play an important role in the proper functioning of the cardiovascular system. Each softgel provides (500 mg) of cold-pressed linseed oil, plus enough cod liver oil to supply (1250 I.U.) of Vitamin A and (125 I.U.) of Vitamin D.
No Artificial Flavor or Sweetener, No Preservatives, No Sugar, No Starch, No Milk, No Lactose, No Soy, No Gluten, No Wheat, No Yeast, No Shellfish, Sodium Free.